Invest in your business by booking on The Art of the Newborn workshops. 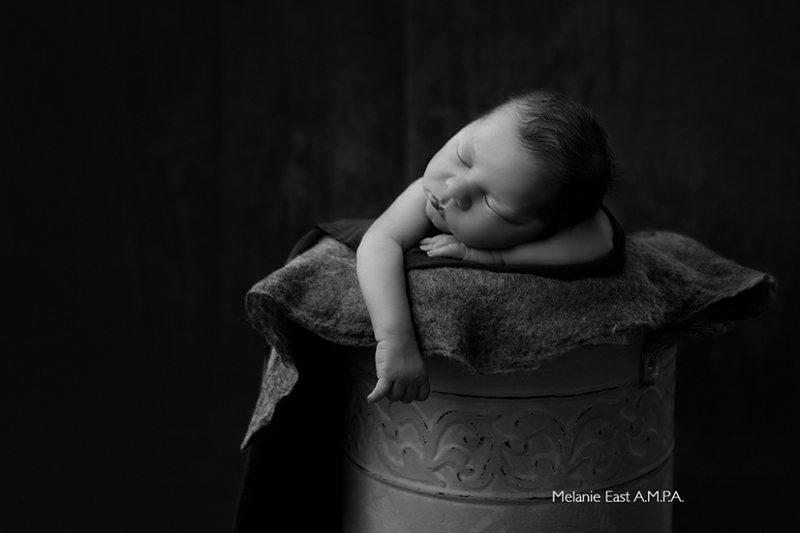 Melanie is dedicated to providing exceptional newborn photography training to professional photographers. The newborn photography training workshops run for one day from 11am until 4.30pm and you will cover the Business of Newborn Photography in the morning, and the Art of Newborn Photography in the afternoon. Always limited to *three* photographers for an exceptional learning experience. – How to prepare the parents in advance of the session. During the afternoon there will be a newborn baby to photograph. Melanie likes to keep numbers low which is why she limits these workshops to just THREE. Melanie doesn’t feel it is appropriate to overwhelm parents with lots of photographers wanting to photograph their baby. Each photographer will photograph the newborn under Melanie’s guidance – nobody jostles for position and nobody shoots at the same time – this way is much much better. Melanie can then watch your shooting technique and advise accordingly. – Lighting with strobes to achieve clean well exposed images. – *safety* – safety is of paramount importance when photographing a newborn. – Shooting from correct and flattering angles. – Safely using effective props to create artistic images. – Shooting images which enable you to sell multiple wall art. – Wrapping – different wrapping techniques. – Calming and soothing/getting baby to sleep. Please note that these are not portfolio building workshops and images taken on the day may not be used. The aim is for you to learn safety, lighting and posing. Photographs may be taken for reference purposes only. The cost of a one day workshop including refreshments and lunch is £450. To book, please click the “Book Today” button! Text and Images copyright 2018/2019 The Art of the Newborn TM. Newborn Photography Workshops The Art of The Newborn is a trading style of Melanie East Photography|ProPhoto Photo Theme by NetRivet, Inc.